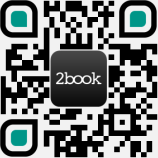 Whether it is for a product launch or a corporate event, 2book has you covered. We directly connect event hosts with venue owners, making it easier than ever to find that perfect, tucked away venue that will blow your guests away. The beauty of 2book is that it’s for everyone. In a city as big as Hong Kong, there are venues of all sizes available on a wide range of prices. Hosts can look beyond the standard locations for their next event, discovering hidden gems that offer a far better experience at a much more agreeable price than a larger or more popular space. If you’re looking for the perfect rental kitchen for your needs, browse our listings today. Finding the multipurpose venue that not just a space is big enough for you and your guests, but you need a place that offers you the equipment and the atmosphere to create the best scenario and impress your client. Our multipurpose venue come in all shapes, sizes and configurations. Whether it’s a mini product kickoff or a proper multi-million event that is holding in this multipurpose event space, we’re certain you’ll be impressed with the range of this venue has to offer. Need to demostrate a product infront of hundreds or guest? Powerpoint or live demostration to show off your product to your valuable clients? Every venue on the 2book website is filterable by included equipment, allowing you to drill down into the results to find the space with the tools you need. The first step towards culinary perfection is finding the right space – do it with 2book.